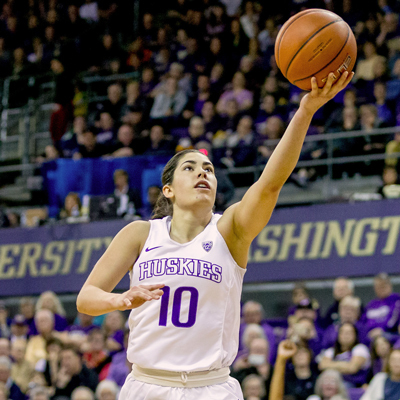 Kelsey Plum stands as one of the greatest Husky Women’s Basketball players of all time — one of the best to ever play NCAA Division I hoops. Thanks to the generosity of long-time fan Karen Koon, future generations of Husky student-athletes will benefit from the standard of excellence that Kelsey exemplified. 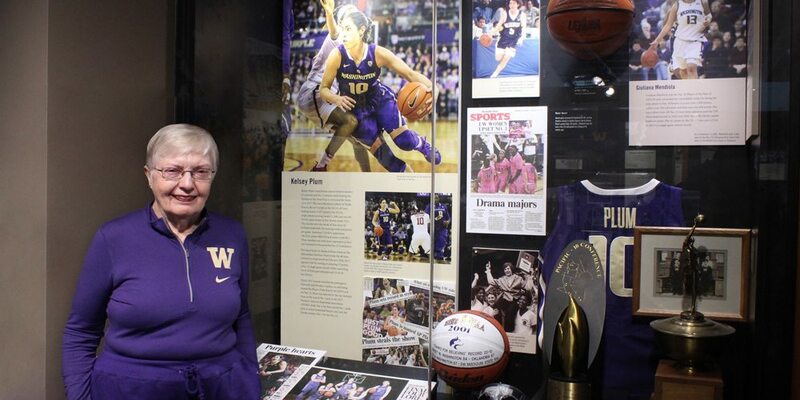 Karen, a 1961 UW graduate in political science, created the Women’s Basketball Endowed Scholarship in Honor of Kelsey Plum — a perpetual source of education funding for student-athletes who seek to follow in Kelsey’s historic footsteps. In a phone call from Europe where she’s playing basketball for Turkey during the WNBA off-season, Kelsey admitted to being overwhelmed by such a significant gesture. “I was given so much, just being able to go to Washington and having great people around me. They made my experience easy. It’s very humbling for Karen to take notice. I feel very honored and grateful,” said the Las Vegas Aces point guard, who holds the NCAA record for most career points among countless other accolades. Memorialize Kelsey’s accomplishments by making a tax-deductible gift to the endowment so it covers even more of the cost of a student-athlete’s education. Call 206.543.2234 to donate or to learn more.